Just wanted to share a fun deal that’s going on through the end of January. My coworkers and I recently discovered it (hence this is a tardy post). If you’re in the Bay Area, Loving Cup is running a Happy Hour promotion every Monday and Wednesday afternoon from 3pm to 6pm: you can get a small swirl for $3.00. 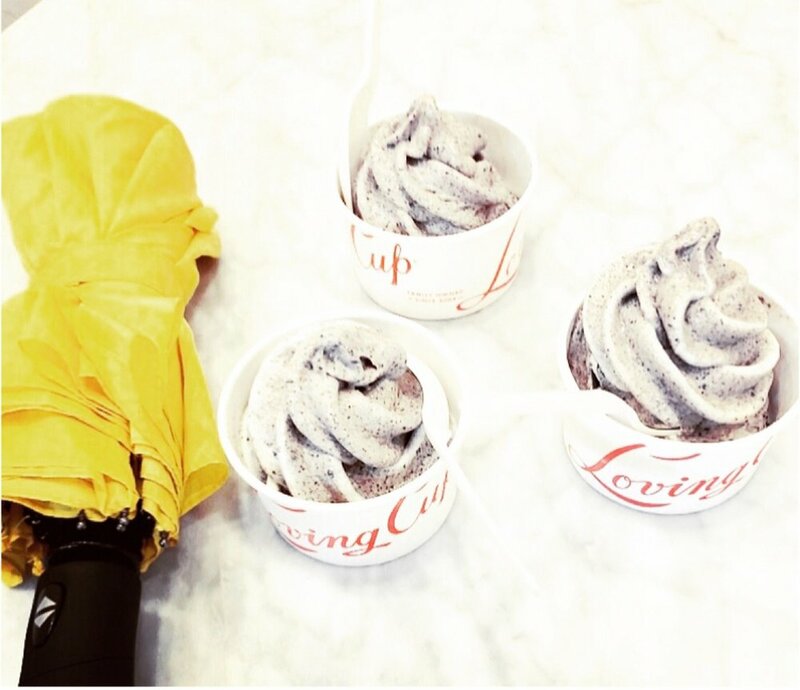 My team and I decided to brighten up our rainy SF afternoon with a frozen yogurt run to Loving Cup in Hayes Valley. All the yogurt is non-fat and probiotic… so something to feel a little better about when ordering a vanilla cookies & cream swirl :) Today was the first time I tried their dairy swirl; I also really like their non-dairy coconut milk option. We also tried pistachio and mint chip mix-ins. The staff are super friendly and the shop is really cute with vintage decor.